These cloudy nights have kept my garage door closed, and my telescope inside. I don’t usually like to make a blog entry without having some new astrophotography images to show, but at this point, I felt an update was needed. 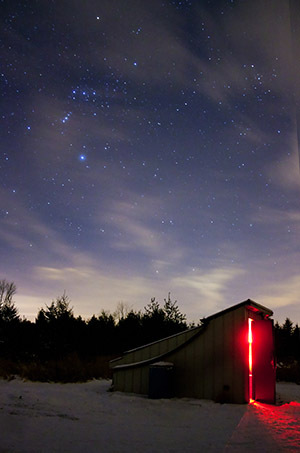 Time is running out to add more exposures to my winter astrophotography projects. Despite the unfriendly weather, the AstroBackyard community continues to grow on Facebook and YouTube. Never in a million years did I think that this venture would garner the response that it has. This means much more video content in the future, and sharing my experiences and reviews of specific astrophotography equipment. The clear skies will return. When the clouds finally part, I’ll be ready. Specifically, I’ll be purchasing and installing the Astro Photography Tool (APT) software on my imaging laptop. I need something that can run my CCD imaging sessions, as BackyardEOS was designed for use with Canon DSLR’s. I am interested in the planning utility tool within the software that can control the mount and slew to various targets. Of course, I will need to connect my SkyWatcher HEQ5 to my laptop via EQMOD first. Are you on Astrobin? I guess you can say that I am late to the party. I created an account about 2 weeks ago, and currently, have only 2 images submitted. Please follow me, or send me a message over there and I will do the same. The level of detail contained within most of the photos shared on AstroBin is extremely helpful and inspiring when planning an imaging session. This experience has opened my eyes to a deeper level of accuracy when documenting my backyard imaging and processing sessions. I always try to accurately log my acquisition details, but the level of depth found on AstroBin will force me to provide exact details for each photo. Speaking of inspiration, I have been really enjoying the content produced by the Astro Imaging Channel on YouTube. They host live astrophotography discussions about various imaging topics including autoguiding, observatories, and light pollution. 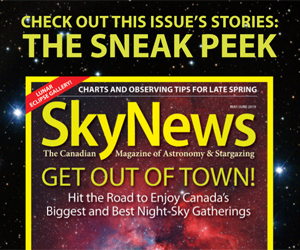 They invite imaging experts to the show and answer a lot of the astrophotography questions you may have. These videos are much longer and informative than my own, and I have learned a lot so far. The amount of content contained within these videos is staggering! If you are looking to get caught up to speed with the level the Astro Imaging Channel team is shooting at, watch the video above. Adam has been imaging much longer than I have and shares his incredible journey to his current skill level. Many of these guys are heavy posters on Cloudy Nights, which can be a useful learning resource via the forums. My official partner, Ontario Telescope & Accessories has been a huge success. 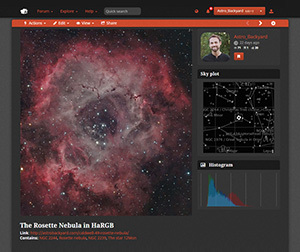 This venture is turning into a long-lasting relationship that will provide knowledge and tutorials to the readers of AstroBackyard for years to come. From a customer perspective, the level of service received from OTA as a result of AstroBackyard referrals has been very positive. As I continue to receive new astrophotography gear I will be sure to share my results. Cloudy nights isn’t just a popular astrophotography forum website, it’s the current state of the weather in my area. We are experiencing record-setting warmth for February in Southern Canada. This has created a lot of moisture, which means foggy, rainy nights. I hope that the weather in your part of the globe has been more forgiving. Some of the items ordered so far include accessories for equipment that is similar to mine. 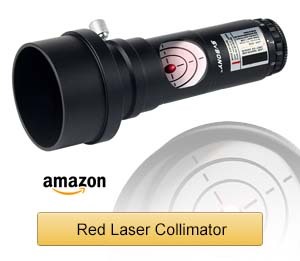 I know that a lot of you image using wide-field refractors in the 80 – 127mm focal length range. 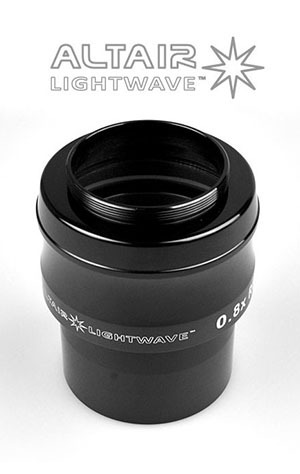 The Altair Lightwave 0.8X Field-Flattener/Reducer for the Explore Scientific ED102 is a popular item built for telescopes F/6 or longer. Ontario Telescope & Accessories has sent me a version to test out for myself! 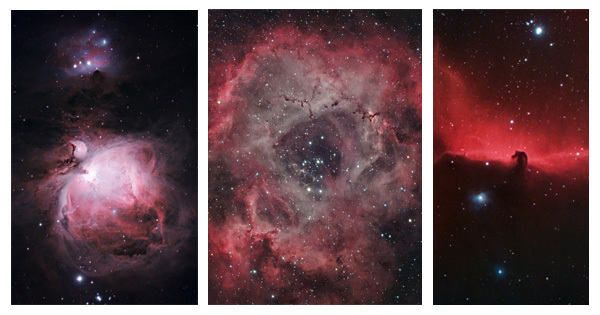 The Altair Astro Imaging Facebook Group is a very busy place, with lots of fantastic information about their products and the photos taken by real users. For technical support of their imaging products, they also run a Google Support Group for qualified owners of their products. I’ll be using this Flattener/Reducer with my Explore Scientific ED102 in an upcoming video.